American Kidney Services (AKS) operates mobile donation centers for the convenience of residents in Canton and all surrounding areas in Georgia. Our attendant-supervised collection centers offer an easy place to donate your clothing and other household items to help us further our mission of supporting charities that fight kidney disease. And, as thanks for your donation, the person on duty will be happy to provide you with a receipt for tax purposes. The items we receive at our donation centers, Atlanta storefront, and area drop boxes generate proceeds that go toward funding programs like those of American Kidney Fund (AKF), which provide financial assistance and other services to some of the approximately 31 million people nationwide affected by kidney disease. We also offer a free donation pickup service to make it even easier to support our cause. Just call our office or use our online form to schedule the collection of items from your Canton area home or business. To learn more about where to find our Canton, GA, area donation centers, please contact AKS today. 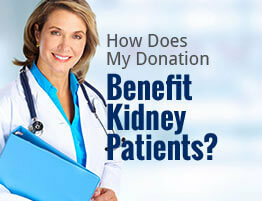 We are proud to offer local residents an opportunity to help kidney disease patients across the country.